Robyn Vilate: Prime Transformation & how I'm making a real difference this time around! Prime Transformation & how I'm making a real difference this time around! Alright guys, it's been a minute since we talked fitness and it's about time I FINALLY fill you in on my last week of Prime Transformation! With all the holiday craziness I realize I'm a bit behind with this post, but hey…better late than never! So… I ate healthy, cut out the junk (soda, sugar, breads) and started working out at least 3x week for 30 minutes (although my workouts are usually an hour). It's pretty much a guaranteed success… and it was! It's amazing what dedication and determination can do for an individual. Seriously. This is real talk right now! I was in a place where I was truly unhappy with how I felt and looked. I knew I wasn't treating my body right and it affected all intertwining parts of my life. I did something about it instead of telling my husband how bothered I was or how crappy I felt after having a carb-heavy dinner! I made a choice to live and feel differently and I DO! Between my coaching sessions and the guide/outline of this program (Prime Transformation), I was able to actually stick with it and achieve my goals! The supplements were KEY because they kept me on the right track and kept me from my usual snacking and "boredom eating". They also filled me up and were enjoyable enough that I have actually kept ordering them even after finishing the four week program! I still take my COMPLETE most every morning for breakfast and I. LOVE. IT! Eating better: or more-so, controlling my eating and proving to myself that I could tell myself "no", gave me a self confidence and pride that is pretty incredible. I can say no to a lot of things and not really care either way whether I have them or not, but if you put a Swig sugar cookie or Haagen Dazs ice cream bar (two of my favorite things) in front of me, it takes some serious self-control to say no to them. It proved to me that if I can overcome the helplessness of giving in every time to a sweet treat or whatever is sitting right in front of me, I can do just about anything. It sounds silly, but it's SO true. Mind over matter - it's a real thing and you feel pretty powerful when you can overcome a temptation or craving. Confidence in myself: Along with actually physically feeling better because my body isn't loaded down with sugar, carbs or caffeine, I am happier, more positive (unless you put a Swig sugar cookie right in front of me, then I'm a little crabby because I have to do the whole "no" thing! ), and it totally changes how I interact with my family, take care of my baby girl, and how I go about my every day tasks. All for the better! I have learned so much about myself: I am growing, pushing myself, and learning new things every day. Learning how to make new, healthier meals and how to incorporate things we love into healthier dishes. Cooking has actually become quite fun and is less of a chore because it's always something new and something delicious! It may just be a recipe or a new workout today, but I feel like I am so much more open to new things and feel like it could be bungee jumping tomorrow… who knows?! Working out has made an even bigger difference in my life, in SO many ways! Actual physical difference: The sheer feeling of my body getting stronger and watching the little patches of fat slowly turn into actual defined muscles is incredible. It makes you never want to stop doing it when you see that kind of success! Our self-image and pride we take in our bodies is almost as important to the way we feel internally. It's incredible to me how women can be so mentally affected by their physical appearance, and I am totally guilty of this from time to time! I won't let it ever keep me from being around others or to the point of not going out, but I know if I go to fit into my skinniest jeans and they won't come up over my hips, it's going to be a bad day. It wears on you, eats at you, and makes you feel badly about yourself. It shouldn't! Trust me, I know that! But as women (and even men!) we all know it does! So the fact that I am taking some serious pride in my newly fit"ter" body makes every day go a little smoother and much more enjoyable when I get to wake up, look in the mirror and like what I see! Productivity: So yeah, let's talk about being productive. Because if anything makes you feel productive, it's a workout! But it's even the stuff after my workouts that I notice most of my productivity coming from. Since I'm already out and about, I usually try to check off a few things on my list. Any grocery shopping or errands I need to run, because you know, I'm already out and about! Even if I go straight home, I usually get home and think about how gross I am and how I need to shower, but what a more perfect time to do a little yard work or house work before I do jump in the shower! Because if there's ever a time to clean toilets, it's most definitely NOT right after you got ready for the day and are wearing your stilettos, but when you're sweaty, smelly and are getting ready to shower anyways! I get to be me. Even if it's just during that hour of weight lifting body pump class where I'm staring into the mirror thinking about nothing else but what I am doing in that moment, and that I am strong, and that I am capable! I'm not thinking about what I'm going to make Olivia for lunch, or whether or not my hubs' forgot his Apple watch at home again for the third time this week, or what bajillion errands or things I still need to get done at home or for the holidays. I'm just enjoying me time. And it's become some of my favorite time. People may think the saying "Happy Wife, Happy Life" is silly, but everything in our household runs a little smoother when I'm taking better care of myself and I am happier in general! It makes sense and doesn't seem all that hard to believe when you break it down to the simpleness of it all. Take care of yourself --> feel better --> be happier --> share that happiness with others around you. Rocket science guys, rocket science. Ok, enough of my ramblings and thoughts, let's talk about how we can get you started with PRIME! This is what did it for me. It gave me the boost and kick I needed to get started and it's something I will forever be grateful for! PRIME wants to offer my awesome readers 20% OFF of ANY package or supplements you order using the code ROBYN20! Code doesn't expire until the end of January. This could be it guys, your new years resolution that you ACTUALLY stick with and make a difference in your life! I've realized there will always be reasons not to, no matter what! There will always be "next Monday", but instead of waiting until Monday, plan to make a difference this Tuesday, or Wednesday or whenever you dang well feel like it rather than living in the moment just to gear yourself up for your "diet starting Monday"! The sooner the better. I promise you that! Make sure to check out Prime Transformation's website for more info on how to get started, what plans may be best for you and how to go about learning about the supplements. In the meantime, don't forget to check out some of my favorite workout finds below from Marshalls! Since I have been on this workout kick lately and going 3-4x a week, I always have to change it up and keep myself feeling cute at the gym. It gets way too expensive trying to build a new gym clothes wardrobe, so Marshalls and TJ Maxx were my GO-TO'S when finding all my new favorite workout gear! The best quality for seriously amazing prices! I honestly thought this jacket was a LuluLemon jacket for a second when I walked by it, and the quality is darn near close for a fifth of the price. So….that's always a good day! ;) Ok. really this time, no more rambling. Enjoy!! 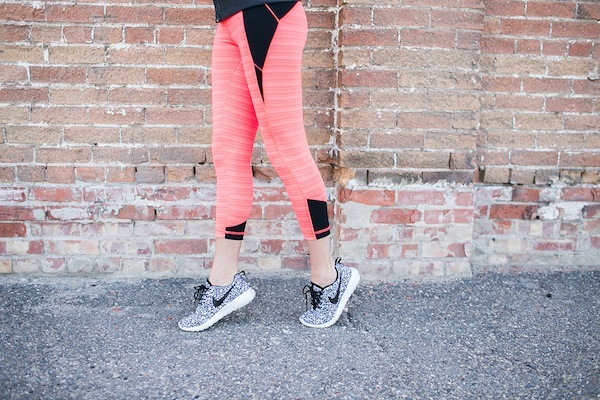 Your workout outfit is stunning! !